We polled our Facebook followers with this question: “Why do you freezer cook?” Answers varied of course, but over and over again we heard, “to save money.” Meal planning is at the top of the list for saving money on groceries. But we have some budget freezer cooking tips that will help you go even further to cut costs on freezer cooking day. New to freezer cooking? Looking to cut your costs even more? 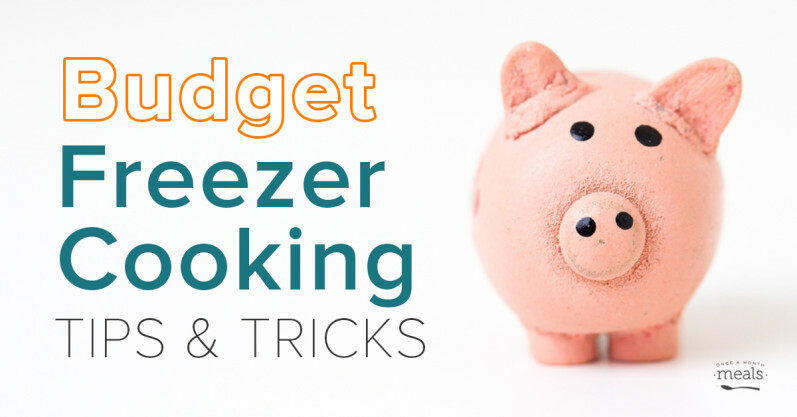 We have budget freezer cooking tips to cut costs on your cooking day! Less Ingredient Waste: You waste less ingredients when you have a plan to use them immediately. Fewer Grocery Trips: You save by making fewer trips to the store – less gas and less opportunity to grab extra unneeded items. Save Buying in Bulk: You save by purchasing in bulk most of the time. More Free Time: You free up more time in your schedule. Time is money! Less Convenience Food: You stay out of the drive-thru, restaurants, and freezer aisle, which we all know are a huge drain on the budget. Check out these posts in the archives on budgeting: 5 Ways to Save on Groceries, 20 Budget Friendly Freezer Recipes, How to Save Money on Real Food, Paleo on a Budget. And in case you think it is just us saying it, see here and here. Now, here are some of the less obvious ways to cut costs on your cooking day and ways to take advantage of the resources here at Once a Month Meals to get the most out of freezer cooking. When budget freezer cooking, first consider what type of containers you use. If you prefer disposable containers (i.e. 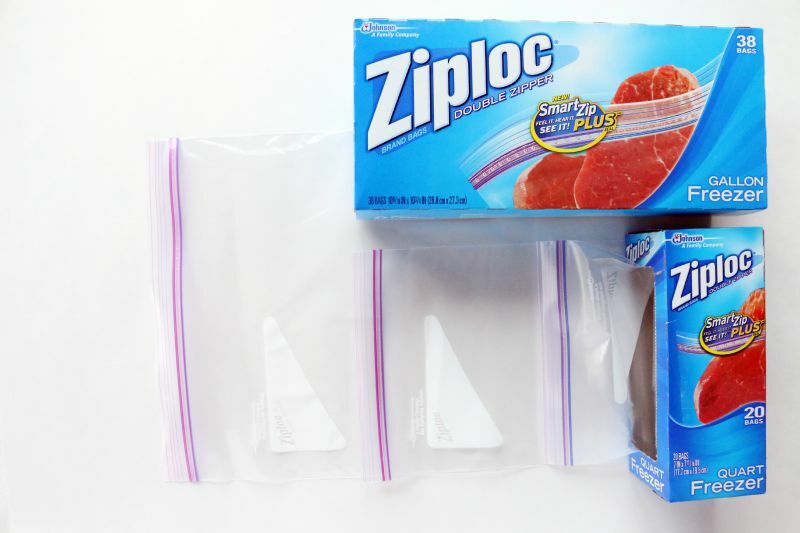 zipper freezer bags, foil pans, etc.) your best bet is to stock up when there is a sale. You may find good bulk prices in stores like Costco or Sam’s, but often times the grocery store sales can be cheaper, especially when combined with a coupon. Sadly, disposable containers will always have to be replaced. They save more time and space than they do money, when it comes down to it (and many have additional environmental and health concerns). For the truly frugal, this may be an expense you wish to cut out of your freezer cooking grocery trip (or at least reduce the number of disposable products you use). Choosing reusable containers can eliminate/reduce this cost overall, although there may be an initial investment. However, the great thing about reusable containers is – well, they’re reusable! This means, you don’t have to be the first user. Yard sales, thrift stores, consignment shops, and online shops (Ebay, Amazon) often carry items like baking pans, casserole dishes, mason jars, Tupperware-type containers, etc. 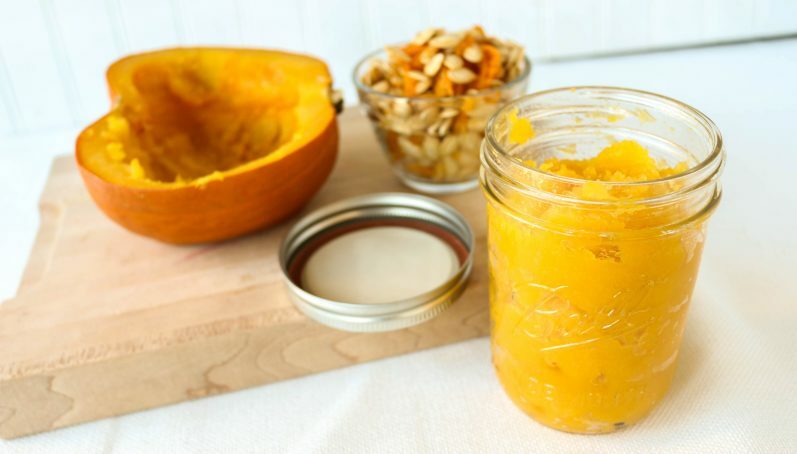 Now that you have your containers ready to fill, head to the pantry and the freezer. Take a quick inventory before you start planning your budget freezer cooking day. Did you score ground beef at a killer price and throw it in the freezer? Do you have summer produce packed away (frozen or canned)? Do you have an abundance of dry goods (i.e. pasta, beans, cans, etc.) that you can use? Using what you have on hand is the best way to save money when you are budget freezer cooking! it shortens your grocery list drastically, and it helps you use up lingering items. When we create menus, we try to save you money by basing our lists on seasonal produce and sale cycles at the grocery store. But any time you choose a menu and print the grocery list, you should shop the pantry first. Or you can always create a custom menu based on what you already have on hand! In MenuBuilder you can search by ingredient keyword and also by tags such as menu type, meal type, and preparation method. *Note – MenuBuilder will automatically double each of these recipes, so you would get 10 meals out of this custom mini menu. Meat typically makes up the largest portion of the grocery budget. There are a few ways to deal with this, the first being cut it out completely. We have a wonderful selection of vegetarian recipes and menus from which to choose. For many, stores like Costco or Sam’s are a go to for bulk purchases. Their prices tend to remain the same from week to week. So be sure to compare that expected price to the deals in your local grocery store before you make a purchase. Grocery store prices are generally higher, but they often offer deeper discounts and offer an even greater savings for buying in bulk. Ever see those little stickers that say something like, “buy more, save more”? Check those out! We also are big Aldi fans around here! Check out this post from our friends at Kitchen Stewardship comparing Aldi prices to Costco! Another kind of sticker to look out for is the “manager’s special” ones. 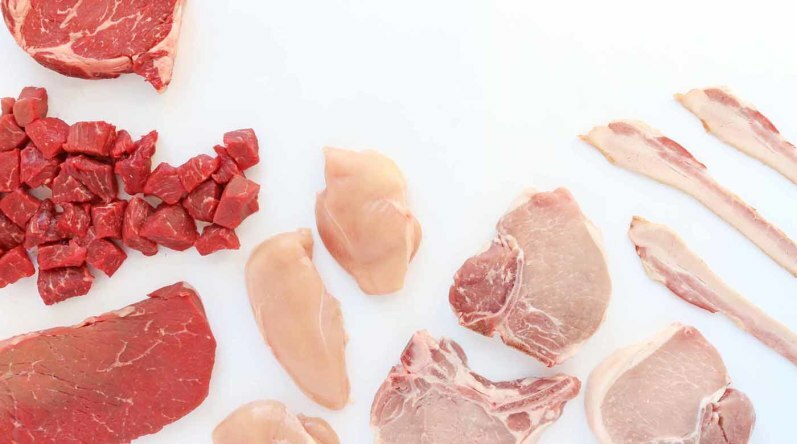 Many stores will reduce the price of their meat when it is nearing the sell by date. It is usually the same day every week, so check in with the manager in the meat section and try to shop on those days. You can freeze these purchases and use them on a later cooking day. Or plan cooking day around the sales. Check out this helpful video on how to process those bulk purchases when you get them home. Last, go directly to the source! Locate a local farm or vendor and talk to them about bulk prices. Talk to friends and family and see if they are willing to go in on the purchase with you (a whole cow is a lot of meat). Check out our Get Real series for more information on purchasing farm fresh meat. Check out sites like Eat Wild to source local meat, dairy, eggs, and more. Making bulk purchases obviously carries over to other items. You can check out bulk bins and stock up on pantry items when they are at rock bottom prices. Some stores will even let you purchase by the flat and give a discount. But since meat is such a big tag item, it is best to start with finding low prices and high quality in this department first. When you find rock bottom prices, cook our Ground Beef Mini Menu or our Chicken Mini Menu or create your own menu of favorites! Combine Items: For example, are there two different types of flour or cooking oils? Could you get away with using the cheapest one in all of the recipes? Swap Out Seasonal Produce: Seasonal is almost always cheapest, especially if you shop farmer’s markets. We create menus based on seasonal items, but when you are choosing favorites for custom menus, keep the seasons in mind. If an item on your list is too expensive, consider swapping for something in season. Reduce or Swap Out Meat: In recipes such as casseroles, soups, or stir fries, you can often reduce the meat to 3/4 or even 1/2 of what is indicated and still end up with a delicious meal. Just bulk up the cheaper grains and veggies. Another option is to swap in beans or a cheaper cut of meat. For example, buy a whole chicken to boil and shred instead of buying boneless, skinless breasts. Swap Out a Similar Item: Google is your friend. So is Facebook. Members, come start a conversation in the Community! “Any one ever substitute X for Y in the recipe for Z?” “Any suggestions for X ingredient?” “This spice is $10 a bottle, and I don’t have any. What can I substitute?” Taste new things and experiment. Recipes have an infinite number of variations, and sometimes the best are the ones that come from necessary creativity!